Feeling seen, heard and understood is important and everyone longs for this type of compassion. When going through a divorce, it can be one of the most challenging times in your life, and when you are working through the ups and downs, oftentimes you want to have your own individual support. Marital separation and divorce can be very stressful and often presents a family with a major developmental crises. It can cause you to feel overwhelmed, scared, confused and generally out of sorts. The family is often faced with a variety of changes, that can seem daunting. Research has found that families of divorce can heal and recover and find ways to maintain a sense of family. When divorced parents find ways to co-parent with grace and love, children of divorce have healthy post-divorce development. During this time it can be beneficial to have a safe place to explore feelings and gain emotional support to develop a plan of recovery. Finding someone who works with divorcing couples is beneficial. They can offer the support during this intimidating process and allow you to feel supported through each step. Johnson Mediation offers safe and constructive support to individuals going through a divorce. It is our goal to help clients make realistic and productive decisions in the midst of an often challenging and emotional time. Whether your divorce is relatively simply, or extremely complex, Johnson Mediation is prepared to guide you through the entire process to create an outcome that saves you time and money and also helps to maintain the integrity of all individuals that are involved. Finding a divorce coach can seem like an intimidating process and you want to find someone that you can trust. Divorces can be extremely tough and working with someone that has gone through a similar experience is comforting and nice. Jeff is a divorced parent with a now blended family with 5 children. With his unique experience, it helps Jeff understand the importance of being a couch, and making sure that he does his job being open-minded, efficient, effective, respectful, informative, and non-judgmental. As he has walked the similar path, he has felt similar concerns and fears and wants to guide you through the journey in the best way possible. Jeff Johnson is here to support Chanhassen, Eden Prairie, Minnetonka and Shorewood as a divorce couch. 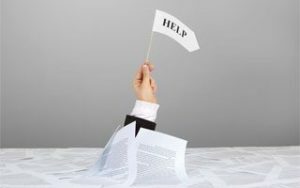 Contested divorces can be extremely expensive, and many times a divorce coach can work to help couples solve many of the problems that are becoming a bottleneck in the divorce process. If you’re interested in learning more about divorce coaching and whether it makes sense based on your current situation, feel free to reach out to Jeff and his team at Johnson Mediation today. 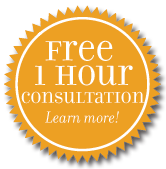 We would be happy to setup a free consultation where Jeff can sit down with you to discuss the coaching process to determine if it’s a good fit for your unique situation.